Doug and Sandi Groves are Dodo Heroes soon to be seen on Animal Planet in 220 countries! It is official! Doug and Sandi Groves, whom all of you know and love as life-long guardians to Jabu and Morula, will soon be on the world stage as Dodo Heroes. Animal Planet announced yesterday that the Dodo Heroes TV Series is their Global Premiere! This show incorporates a lot of firsts for a lot of folks! The Groves, Jabu and Morula, will star in the premiere episode, of the premiere TV series for Animal Planet in their global series premiere! Mark your calendars: June 9th at 9pm. What this also means, is that our beloved herd's story will be soon shared in 220 countries! 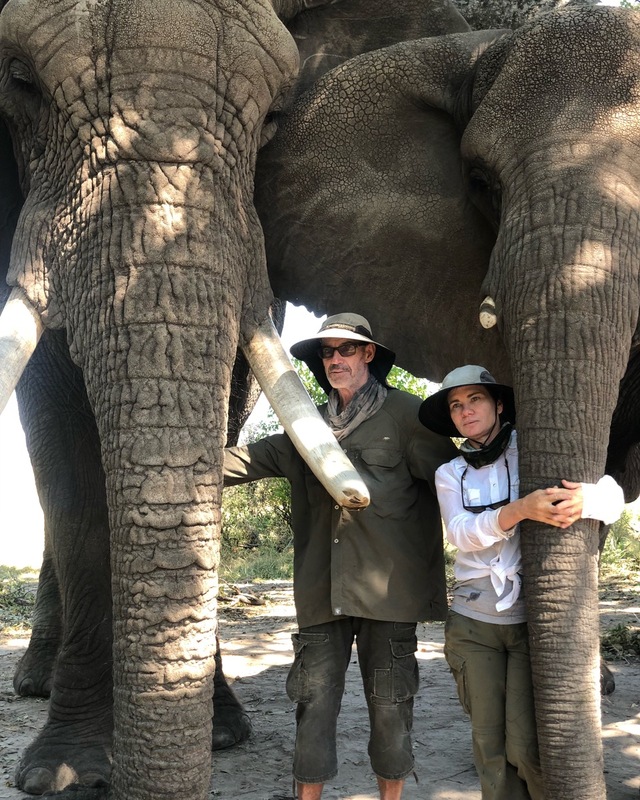 We are so very hopeful that this will garner great awareness to the plight of elephants worldwide, showcase Botswana "the elephant capital of the world" and bring special attention to our big guy, Jabu, and his need for urgent treatments and donations. Please trumpet along with us! In fact, download Jabu's trumpet today! Doug and Sandi recently recorded a wonderful trumpeting sound from Jabu. This particular vocalization is used in times of enthusiasm. Our teen volunteer, Owen Envik from Canada, did some sound editing, file preparation and made it into an iPhone ringtone for fans. Get your Trumpet Ringtone today and Trumpet along with Jabu! It can be found on Jabu's store for $10 min with all proceeds going directly to funding his critical treatments. Thank you for your support!